GB: Tell us a bit about your previous work at Black Isle Studios and your role during the development of Planescape: Torment. Chris: Well, before Torment (and during Torment), I was working on Fallout 2 as a designer, and occasionally doing some work on other Interplay titles (mostly pick-up work here and there on Starfleet Academy, Conquest of the New World, Die by the Sword, plus various AD&D titles that kept getting flushed), then I got a sudden promotion to lead designer for the Planescape PC RPG (we also had a console one planned at the same time, but that got scrapped along the way). It was hard to juggle a lot of the lead design tasks all at once, and I was pretty new at the role, so I made a lot of mistakes. Interplay was also taking its financial downturn around that time, and we were in a hurry to get out a lot of our projects in order to prevent layoffs, so nothing really spurs you to develop faster than knowing if you don't get the project out, your friend down the hall is going to get the axe. Of course, those people all got laid off or quit anyway, so for all I know, we may have actually prevented them from going to a better place in the end. Sigh. Who knows. Life's better at Obsidian, though, and we got a number of our crew from Planescape back, which is incredibly nice. I wasn't sure if we'd ever have a chance to work together again, but we have a number of the artists, the lead artist, the lead programmer, and the lead designer all here, so it makes me think happy thoughts. GB: What was your initial reaction when you first heard that Black Isle Studios would be developing an RPG based in the Planescape campaign setting? Did you immediately realize the potential such a unique setting could have? Chris: A little confused, we weren't too familiar with the setting. Once we learned what the premise was, though, we were pretty excited - it seemed to be a very non-generic fantasy world, and it seemed cool to play around with. We weren't sure how to translate some of the ideas into a game system, so we just chose a direction and went in it. Also, the setting allowed us (and encouraged us) to take departures from D&D, so we were able to play around with character advancement, immortality, special powers, and a whole range of races and characters you probably would be hard-pressed to see in other games. 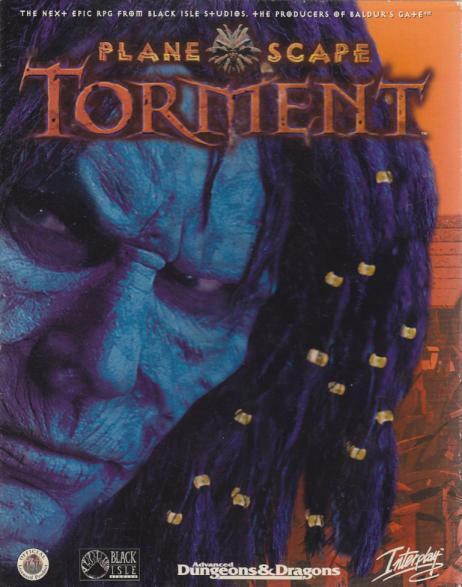 GB: Before starting on Torment, how familiar were you with the Planescape setting? Did you have to do a lot of reading and other research before becoming involved with the game? Chris: I didn't know anything about it, to be honest, so the first order of business was to read every module and book I could get my hands on. There weren't nearly as many as you need to go through to do Star Wars research (like for Star Wars: Knights of the Old Republic II: The Sith Lords), but there was enough to keep me occupied. I think I still have those modules and books boxed up in a backroom somewhere, with all the modules with scribbles and barely-decipherable notes in them. GB: What was it like to be a part of the Planescape: Torment development team on a day-to-day basis and what was the general "mood" of the development team as the game progressed? Any fond memories you can share with us? Chris: It was mostly stress to get things done, plus the stress of coming off finishing up Fallout 2 and immediately going into crunch again. For any specific moments, I recall having a haiku war with Colin McComb one day, then the next trying to explain the concept of the pregnant alley to one our marketing folks. I also recall the creation of the test character we still use at Obsidian - the amazing "Testocles," and of course, meeting Sheena Easton. She's super cool and did a great job with Annah. She told us stories about getting mistaken for Clint Eastwood's daughter occasionally which were pretty funny. GB: Which CRPGs would you consider your favorites and how did such titles influence or inspire you during the development of Torment? Chris: If Anachronox had come out before Torment, I'd probably have tried to snag some ideas out of there. I really enjoyed some of the ideas in that game and the characters (especially the sassy interface). Other than that, though, most of my influence came from Zelazny books, which is probably why the game had more of a story focus than it might have otherwise had.